Christmas is the time to rejoice, a time to let down one's hair and enjoy the season of holiday. You would, undoubtedly wish and celebrate the festival with your friends and family but why leave out the colleagues with whom you spend a major part of your day. They are as much a part of your life as your family, so buy amazing Christmas presents for them and this Christmas make everyone around you happy. What to gift them is a matter of concern though, because you still need to maintain a cordial yet professional relationship with them, so go for these certain Corporate Christmas gift items. Some business Christmas gift ideas include fruit baskets, flowers and plants, baskets of candies, chocolates and snacks, baked goods, embossed stationery, watches, digital picture frames or even tickets for a theatre or a sporting event. These can express your goodwill or gratitude to seniors or colleagues on Christmas. 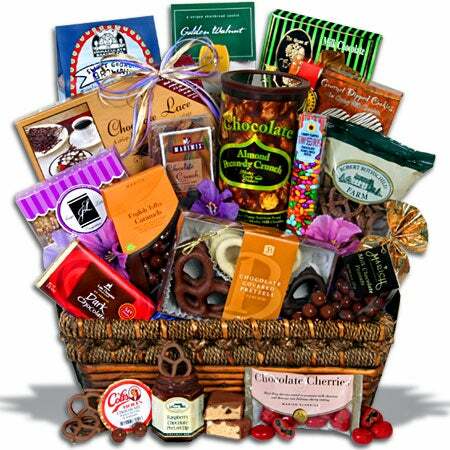 Gift baskets with delectable smelling food items always are a mouthwatering treat for everyone. When it comes to giving these food baskets for business associates, you can choose from numerous beautifully decorated baskets with assorted chocolates with various nuts, flavors, truffles, hand-decorated cookies in the shape of snowflakes or gingerbread man, chocolate chips, brownies, variety of oatmeal spice, cheese spreads, peanut butter candies, cans of soft drinks and fruit juices, especially packed for business and corporate people. 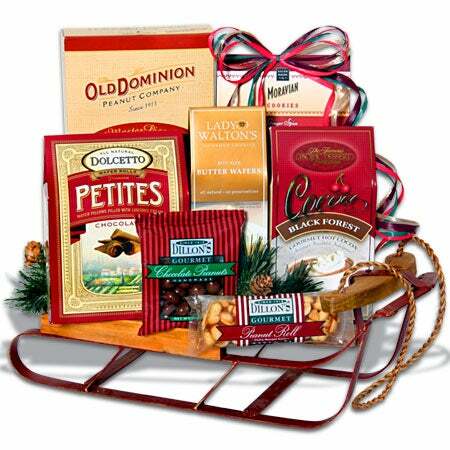 Gourmet Gift Baskets provide a collection of Christmas gift baskets, available online. 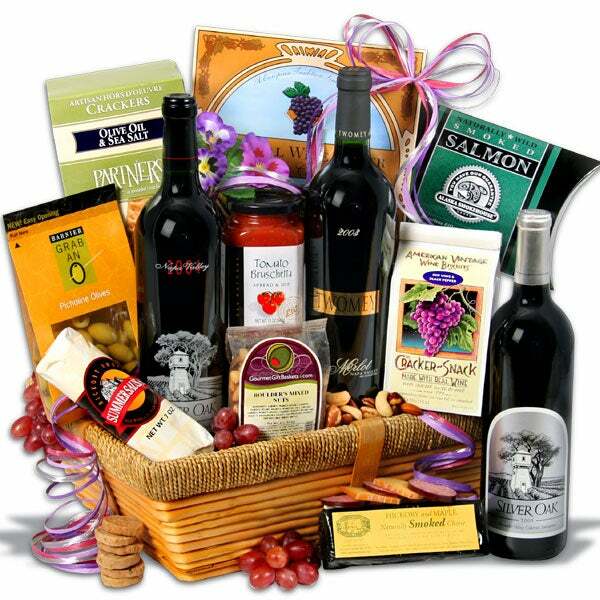 A Christmas wine gift basket for business associates comes with a touch of sophistication. 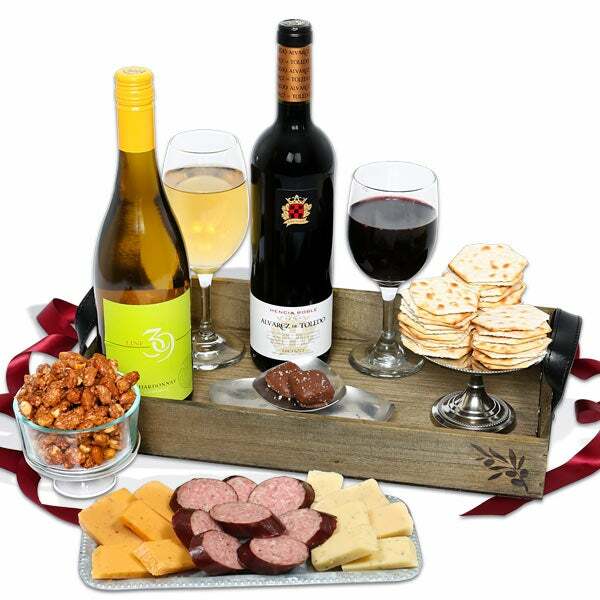 While gifting corporate men wine gift baskets on Christmas, an assortment of finest wines and good quality cheese is an excellent option, while for women wine accessories within the wine gift baskets like corkscrews, crystal wine glasses and decanters, wine opener and some fine chocolates is a great idea to impress. Tangy white wine, fruity red wine, sparkling wine, dry wine or a sweet wine are the general options available for wine lovers. Some common varieties of cheese that go well with particular wines are- blue cheese with wines such as Cabernet Sauvignon, Shiraz, Zinfandel, the brie variety of cheese goes well with Chardonnay and Pinot Noir, cheddar cheese along with Riesling, Merlot or Shiraz varieties of wine, Swiss cheese with Sauvignon Blanc. 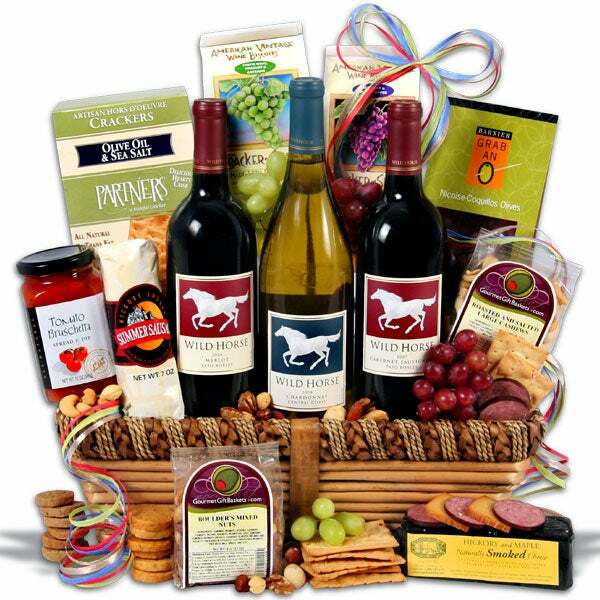 Keeping these tastes in mind a nice brand of Wine Gift Baskets make good Corporate Christmas gifts. Leather-Clad Travel Alarm Clock/Frame from Lillian Vernon is a perfect gift for the traveling business associates. The recipient of the gift can personalize it with a picture of their loved ones and wake up looking at it even when on a journey. It has a classy design zip that closes to protect the clock and photo and can be easily attached to luggage with a snap-close loop. Also features an easy-set beep alarm. It is 2" in diameter, comes in black and red colors and included button battery. It can also be personalized with custom-etched 3-initial monogram on the nickel plate. Isn't it a perfect holiday gift for your colleague who loves to travel! 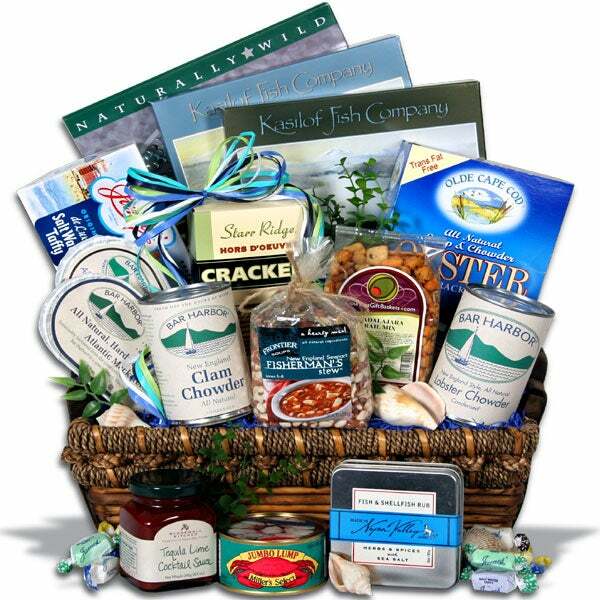 The ultimate celebration of the world's finest fruit and luxurious gourmet delights is prepared by Gift Tree Gift Baskets. 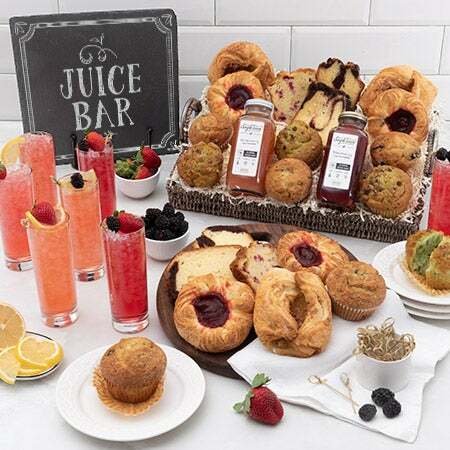 This corporate fruit gift basket from Gift Tree is a royal treat for any corporate associate. It includes Royal Comice Pears, Ruby Red Apples, Seckel Pears, Baby Pineapple, Smoked Salmon, Beef Summer Sausage, Garlic Cheddar Cheese, Honey Wheat Crackers, Mixed Nuts, Dried Fruit Assortment, Dark Chocolate Holland Mints, White Chocolate Shortbread Cookies, Biringer's Orange-Vanilla Cookies, Marion berry Preserves, Raspberry Preserves, Phoenician Pastries, Cherry Salsa, Pecan Popcorn and Pineapple Hard Candies. It's a perfect gift for sharing environment. greetings with employees in your work place. Christmas is also the festival of decorations and sumptuous meals, and hence an elegant crystal ware or dinner set would also make interesting gift items for your office colleagues. You can gift crystal paperweights, card holders, wine stopper, nut bowls, cookie barrels, coffee mugs, wine glass set and decanters to the office friends while nice decorative pieces in Crystal, especially Christmas trophies like a Santa Claus image, a Snow Man miniature or a sparkling Christmas tree, would also be appreciated. There are many daily usage things that can be presented to the office friends on Christmas, like a nice brand of wrist watch, a set of signature pens, a digital diary, or other clothing or accessory items like a tie set , a handbag, a pair of cuff links, and so on. Such items when used in daily life by these corporate friends of yours, will bring regular remembrance to you. 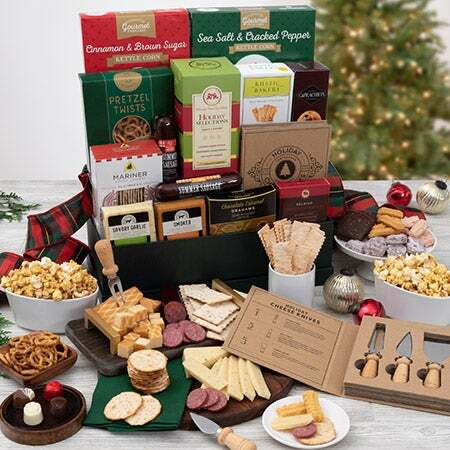 You can also go for the items that suits the personality and hobbies of your colleagues but these items are the all time popular gift items for Corporate friends, with whom you can share all the joy and festivities of Christmas.